The most important duty the Catholic parents have before God is to see that their children are properly brought up and educated. And while the process of education goes on for lifetime, it does require today a certain amount of schooling, particularly during the formative years. Catholic education is service to a child of God to a believing community. The Catholic school exists primarily for the student and only secondarily for parents, Church, and state. Students are respected and loved as unique children of God with dignity and sacredness. Each has special gifts and special needs. Accordingly, each requires personalized attention as he/she grows in proper relationships to self, to God, to other, and to the world. When parents/guardians, therefore, choose a school for their children, they delegate to the teachers a large part of their responsibilities and a significant portion of their child's education. At Eskuelan San Francisco de Borja, the great and only Catholic school in Rota, the study of religion is a regular part of the curriculum and is taught just as thoroughly as reading, writing, arithmetic, and other subjects. The child gains a deep and reverent understanding of the principles of his faith, and practicing his religion becomes second nature to him. Despite the crisis Eskuelan San Francisco de Borja had, past and present, the good Lord has allowed us to be guided by the priestly community of San Francisco de Borja. Catholic faith, Catholic family, and Catholic education work together as the foundations of a strong Catholic community. Blessed are the parents who understand this and do everything in their power to give their children a genuine Catholic education. Catholic education is successful when it trains the mind to see the right ends, and disciplines the will to choose them rather than the wrong ends. 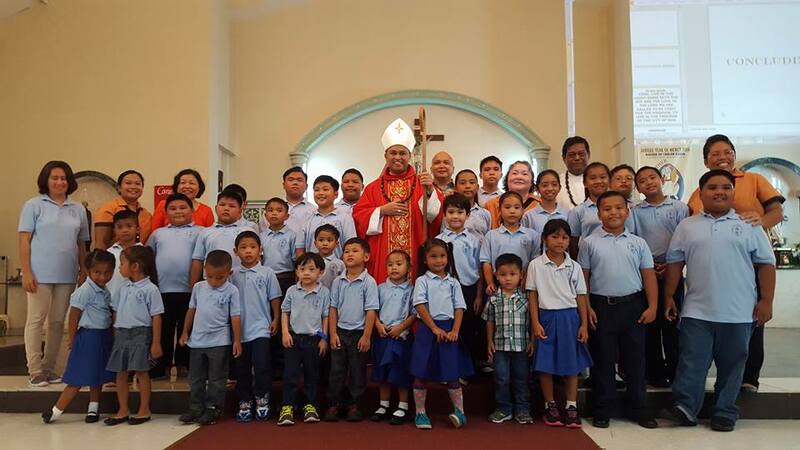 Our Catholic Education in Rota operates within the Diocese of Chalan Kanoa - Saipan, to meet the needs of families who choose an education based on Christian principles in the Catholic tradition.